Our Swiss-trained master watchmaker, Martell Grover, is well acquainted with maintaining and revitalizing the movements and internal mechanisms built by this longstanding timepiece icon. Your Breitling watch repair job will be completed with the same levels of precision, value and excellence that your wristwatch is known for. With over 50 years’ worth of practical experience and dedication, Grover Service Centre’s master craftsman offers an optimal balance between old world skills and technological advances to bring Rexburg, Idaho the very best care for these outstanding chronometers. Breitling watch repair cannot be entrusted to just anyone. While most jewelers have obtained sufficient, yet remedial knowledge about restoring functionality to many of today’s wristwatches, luxury timepieces should only be maintained or refurbished by a prime specialist that has been explicitly trained to tune the movements and replace various parts without affecting the aesthetics of your piece. Grover Service Centre houses the local authority on Breitling watch repair procedures, including manufacturer-approved protocols for rare, pre-1900’s pieces. Your timepiece will be fully inspected, cleaned, restored and thoroughly tested for accuracy. As an authorized Breitling watch repair facility, we will also update your chronometer’s maintenance record to help you preserve the history of your illustrious timepiece and ensure its long term value. Whether you have a Navimeter, Chronomat or Superocean or other model, your wristwatch deserves the very best service—and so do you. No other local facility can offer you the qualitative processes and inherent value that Grover Service Centre has come to represent within our community. To find out more about our renowned services, call or stop by with your timepiece today! 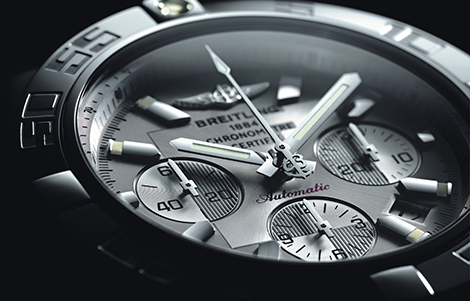 Breitling has stood for sophisticated function and exceptional precision since the late 1800’s. Having earned the title “Instruments For Professionals” by pioneering chronometers for aviation purposes, these technical masterpieces have redesigned the face of timekeeping for over a century. Grover Service Centre is proud to be your authorized service center for these remarkable timepieces.